The Green Bay Packers promote responsible drinking and positive fan behavior at Lambeau Field. The Packers alcohol management plan ensures that fans have a safe and fun experience. Click on the links below to view the Fans Don’t Let Fans Drive Drunk press release, quotes from key contacts, message points, graphics and details about the designated driver program promotion. Smoking. Lambeau Field is a smoke-free facility. The Lambeau Field parking lot opens four hours prior to kickoff. With the exception of a limited number of first come, first served parking for people with disabilities, the entire stadium lot is sold out to holders of season parking passes. Those utilizing the Lambeau Field parking lot will be permitted only one parking space per vehicle and we ask that you limit the space used for tailgating to allow for vehicle and pedestrian traffic. No recreational (wood) fires allowed. Grill cooking with charcoal or L.P. gas is permitted (no wood as fuel). All grills must be supervised at all times by a responsible adult (18 years or older), and be fully extinguished before being left unattended. Separate containers are available in the lot for hot charcoals, recyclable items and trash. The fan code of conduct includes an option for fans to use their mobile phones to alert security via text message to behavior that detracts from a positive gameday experience. The numbers are visible throughout the stadium, including on signage in the stadium bowl and at all concession stands. Announcements are also made in-stadium. To report a fan conduct violation, fans may text the problem and problem location to the number posted inside the stadium. Responsible consumption of alcohol is a priority of the Green Bay Packers, Miller Lite, Coca-Cola and the Nicolet Forest Bottling Company and Water Joe. Therefore, we have implemented a Designated Driver program to offer sensible alternatives and educate our guests of the dangers of drinking and driving. Guests may register at the kiosk in the Atrium, the kiosks in Sections 109 and 112 on the lower concourse and on the 6th and 7th floors in the south end zone. Suite and club guests may register at the 4th floor concierge desks on the east and west sides of the stadium. By registering, guests will receive a complimentary voucher that can be redeemed for one of several non-alcoholic beverage choices, while also having the opportunity to win a Coach McCarthy signed Mini Helmet as well as a chance to win a trip to the Super Bowl or Pro Bowl as part of the Responsibility Has Its Rewards sweepstakes for designated drivers with the NFL and TEAM Coalition. 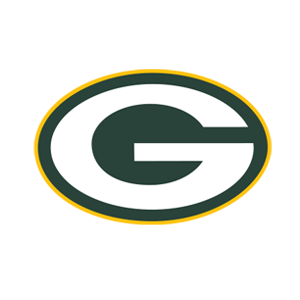 Click for complete Packers game day information.